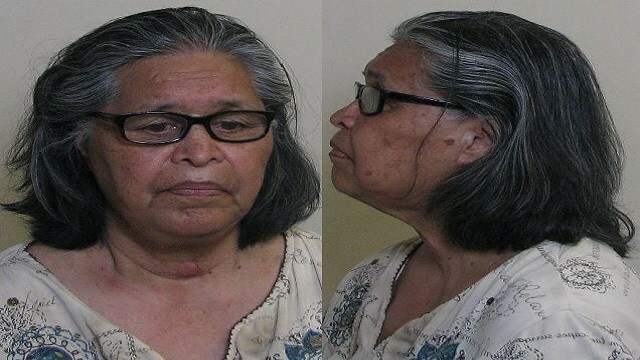 GODFREY, Ill. - A 71-year-old Illinois woman faces a felony animal cruelty charge for allegedly killing a cat and four kittens to punish her grandchildren. Josephine E. Bell of the southwestern Illinois town of Godfrey was arrested Monday night, and reportedly remained in jail Tuesday in lieu of $15,000 bond. Deputies from the Madison County Sheriff's Office responded to a home on Monday evening after a teenager reportedly found her pet cat deceased in the freezer, according to CBS affiliate KMOV. When one deputy asked the child what happened, Bell allegedly told the officer she killed the cat and the cat's four kittens with a hammer. She had previously told her grandchildren that if they didn't clean their bedrooms, they would lose their pets, police told the station. She also reportedly said that she didn't feel it was her responsibility to take care of the cats. Animal control was called to take the dead, but could not find the kittens, which were said to have been thrown away, according to KMOV.